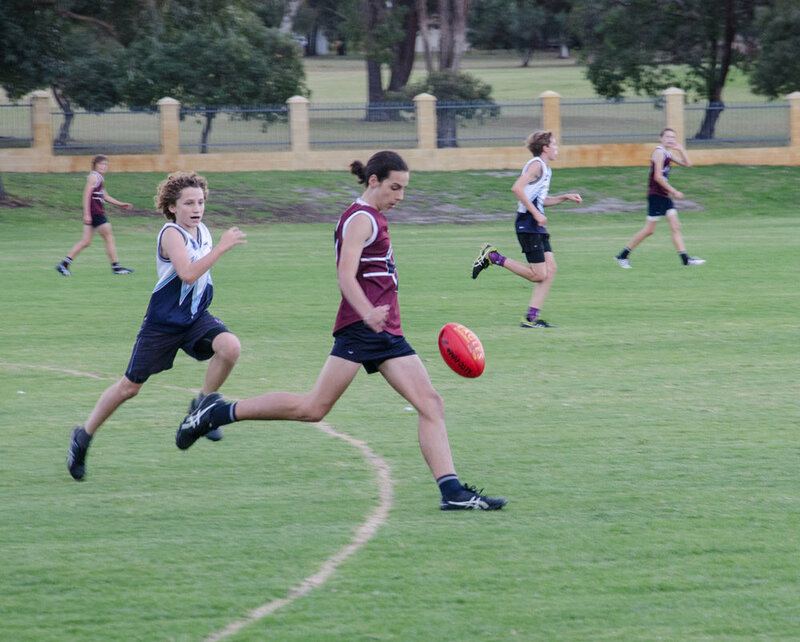 On Monday 19 June the Years 8/9 Boys hosted Willetton SHS on our home turf as the culmination of the 2017 Eagles Cup Home and Away Season. It was another beautiful afternoon for footy and both teams displayed impressive skills, plenty of run and ferocious attack on the ball. 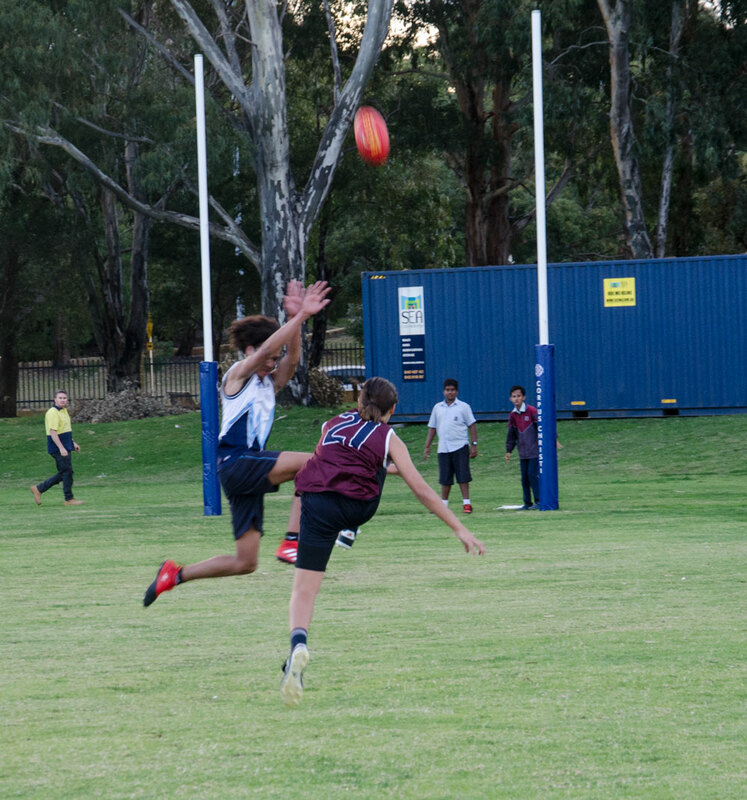 The first half was very even before the Corpus lads found another gear and kicked away to win by 14 points. It was a tremendous team effort with all boys demonstrating courage and a willingness to play for and with each other. Outstanding individual efforts came from Jace Barnard who was ‘rock-like’ in defence, Joshua Browne, Jacob Gough and Kobe de Rosario who were fearless in the mid field engine room. 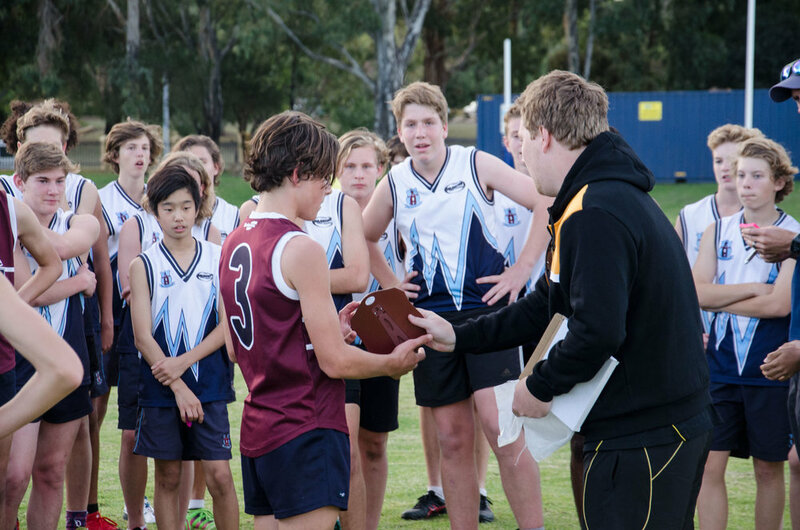 The boys were presented with the East Fremantle District Shield post-match by Sharks District Development Officer Darren Bell who was very complimentary about the standard of the match and spirit in which it was played. The boys progress to an inter-district final now where they will come up against Churchlands SHS who were winners of the Claremont District. This match is scheduled for late July in Term 3 with the date to be confirmed.